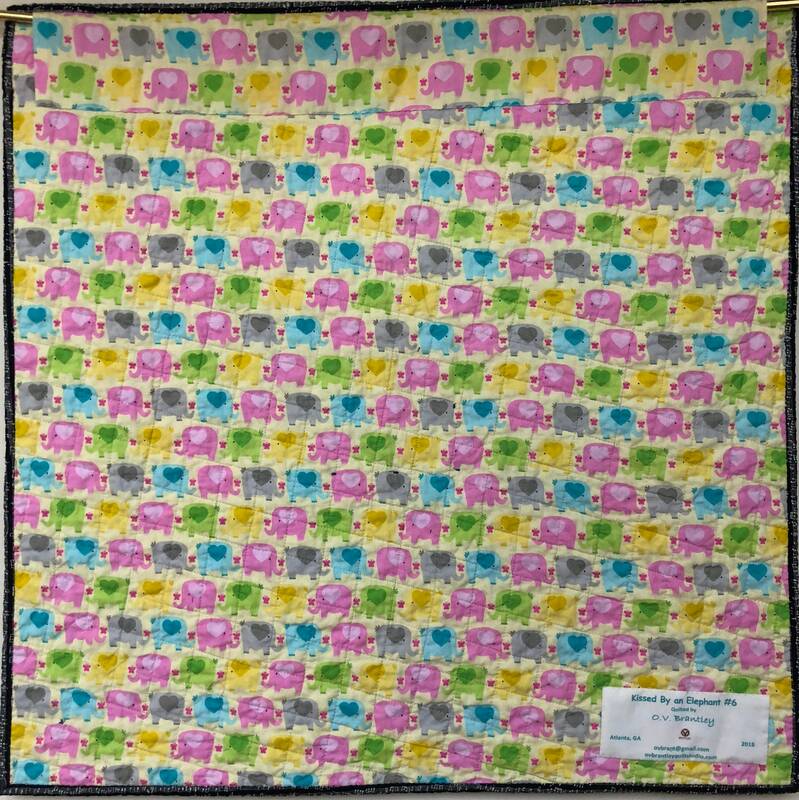 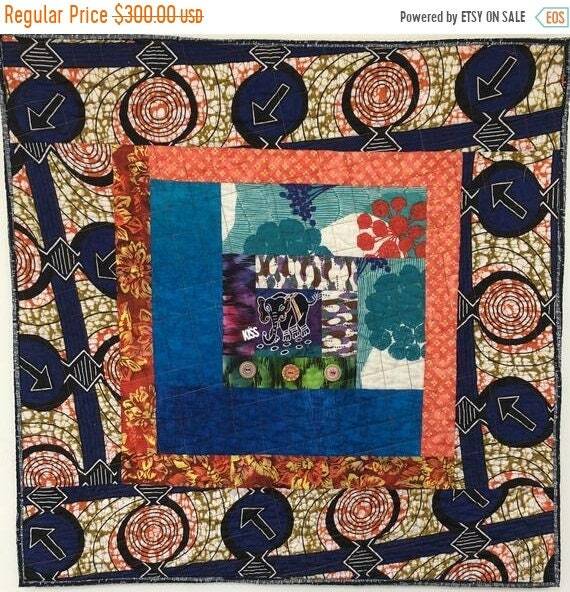 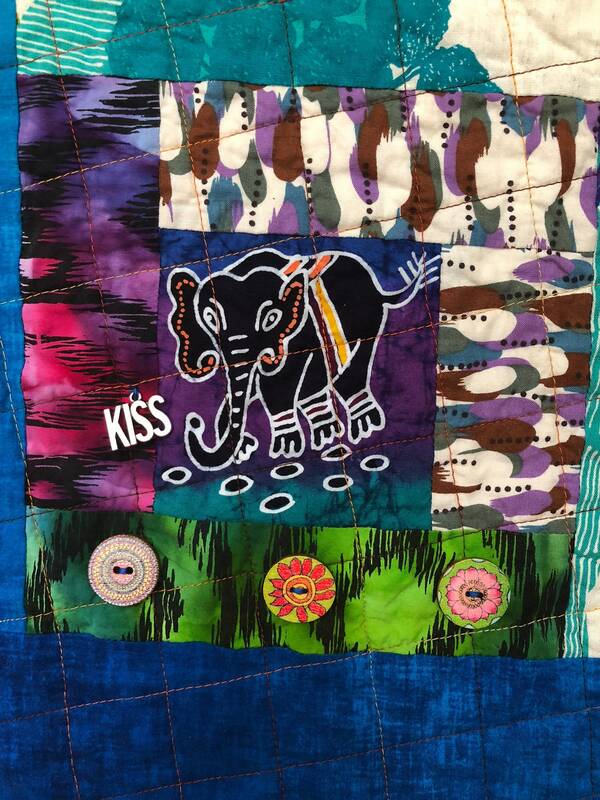 “Kissed By An Elephant #6” is part of a series of 9 quilts inspired by my trip to Bali in 2017. 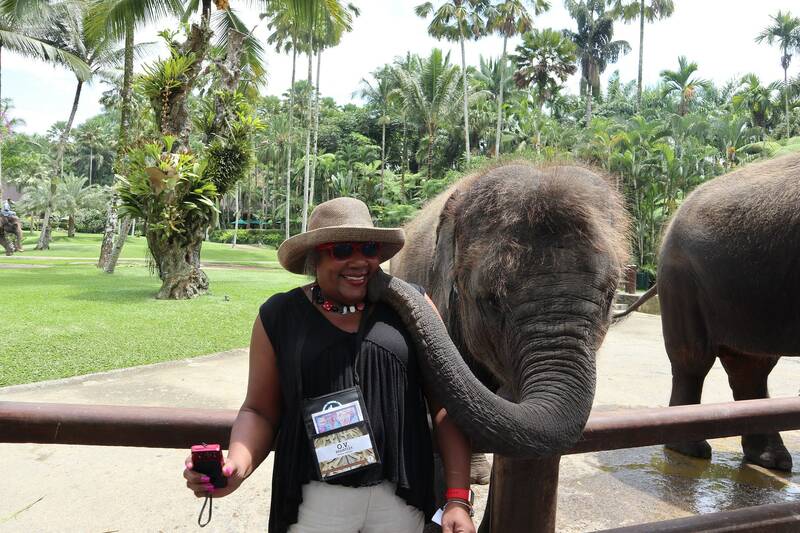 Yes, I was actually kissed by an elephant. 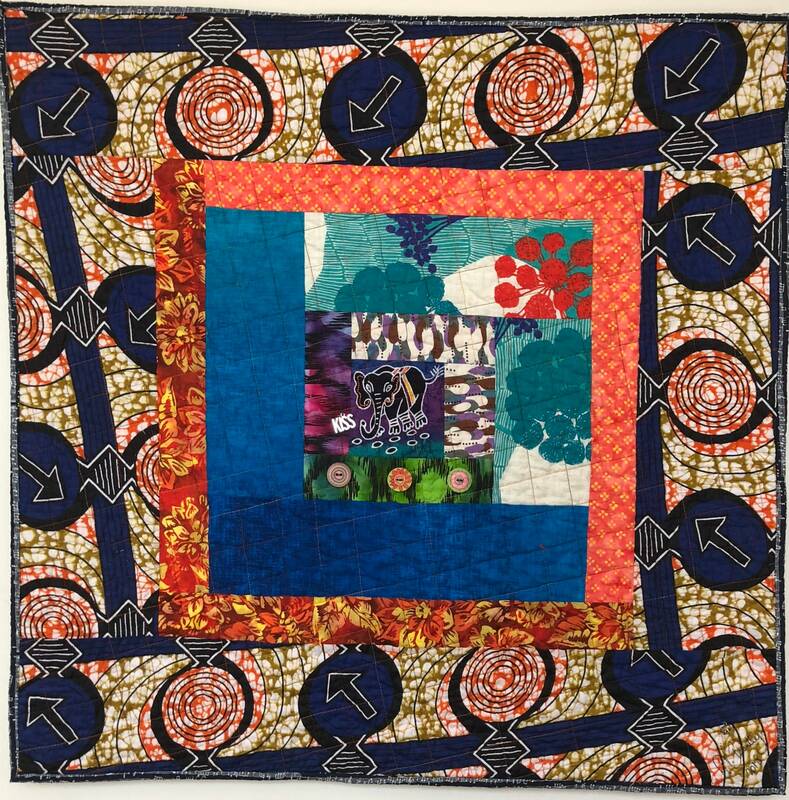 Each quilt in the series measures 31x31 inches. 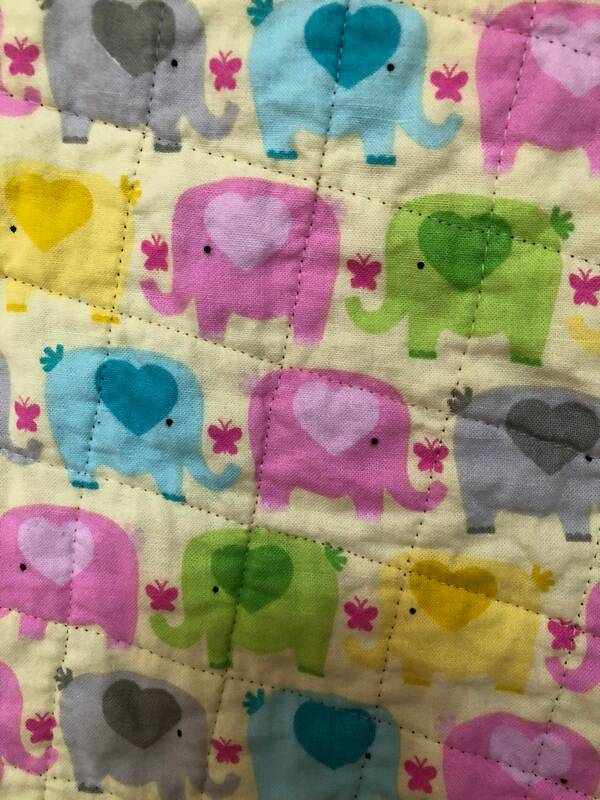 Each is pieced and quilted by machine. 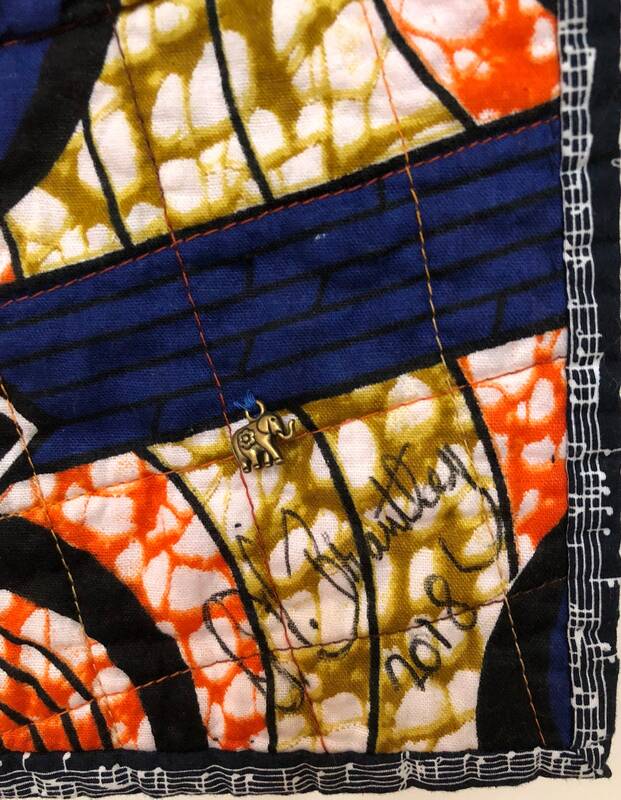 Each is embellished with buttons and/or charms. 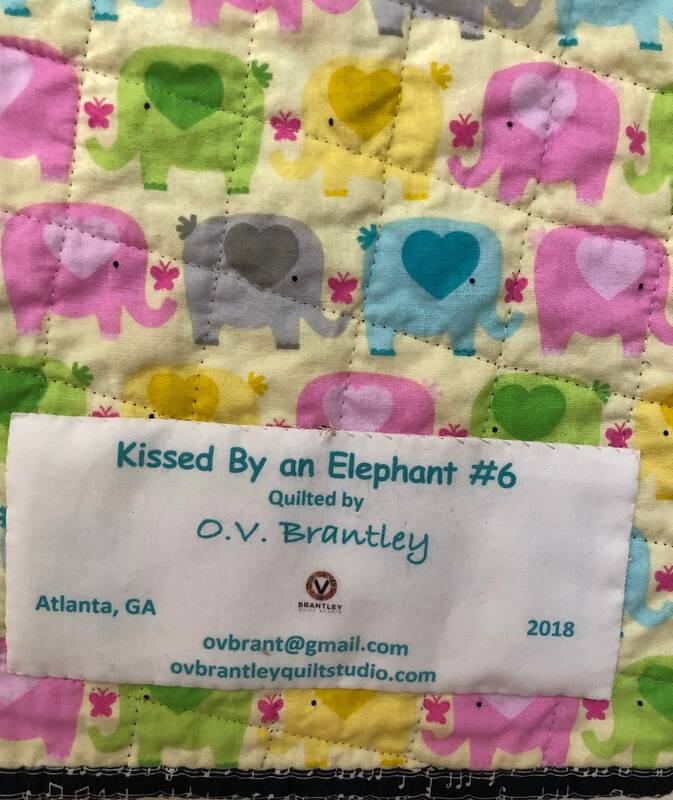 This one includes the word kiss and painted buttons.